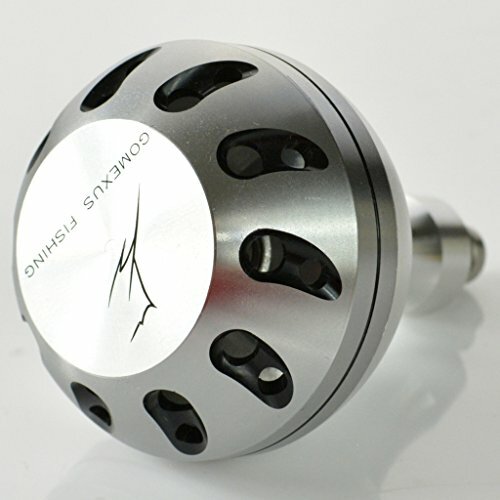 Gomexus® Power handle Knob For Penn Shimano Daiwa Pflueger Van Staal Avet Accurate Okuma Fin Nor Abu Garcia Newell Quantum Reels-dedicated for powerful, beautiful and smooth power knobs for world anglers. Please read the following description carefully before you order. 1. This knob is based on drill-fitment only, please contact us for other knobs under direct fitment. 2. Handle arm or reel is not included, only knob here in the listing. —Reminder, the shaft-insert-length to reel handle is 0.177″,in case the meat of handle far more than 0.177″ at insert direction, (like for penn spinfisher SSV 9500), you need to cut some to adjust it.